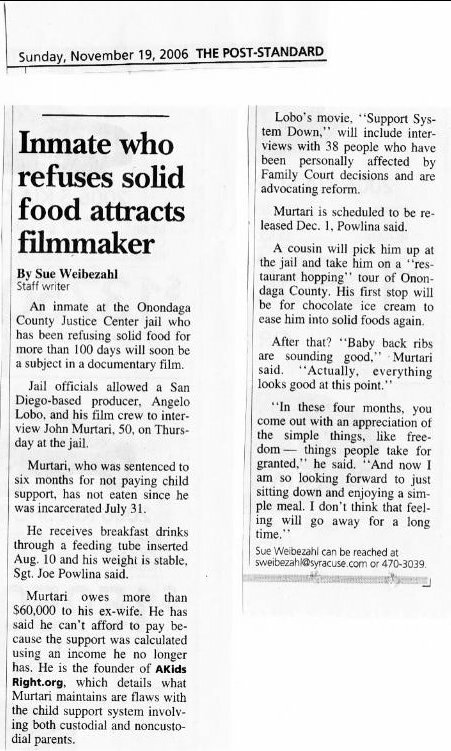 Here you will find a collection of Newspaper coverage of our group. 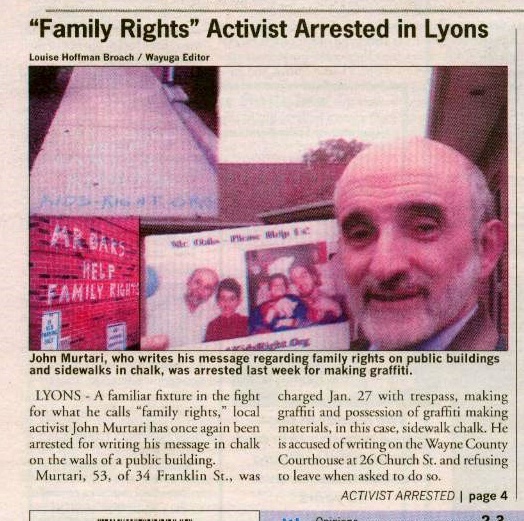 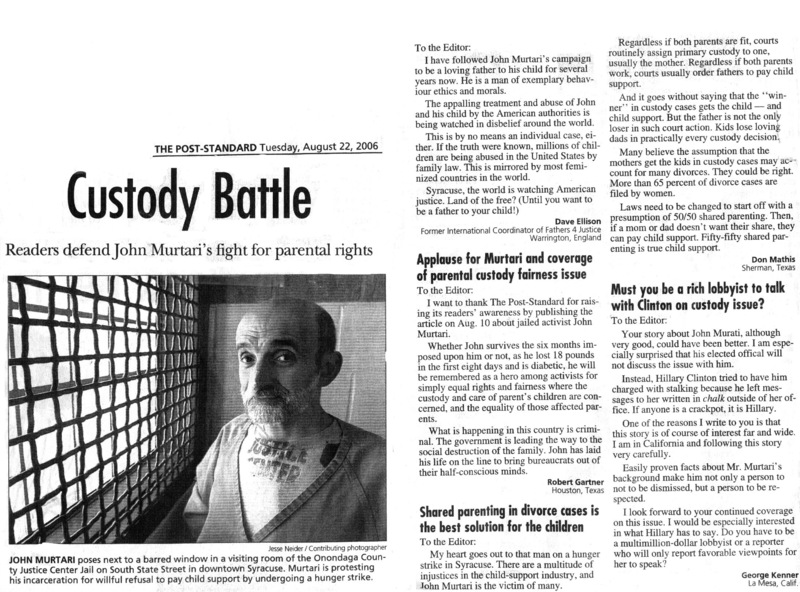 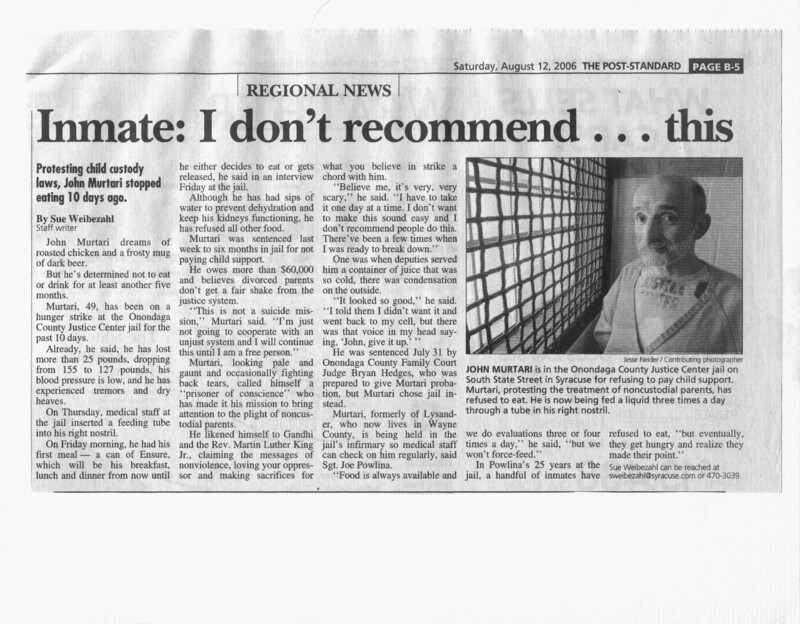 Article written by John Murtari regarding bad conditions at a local jail. 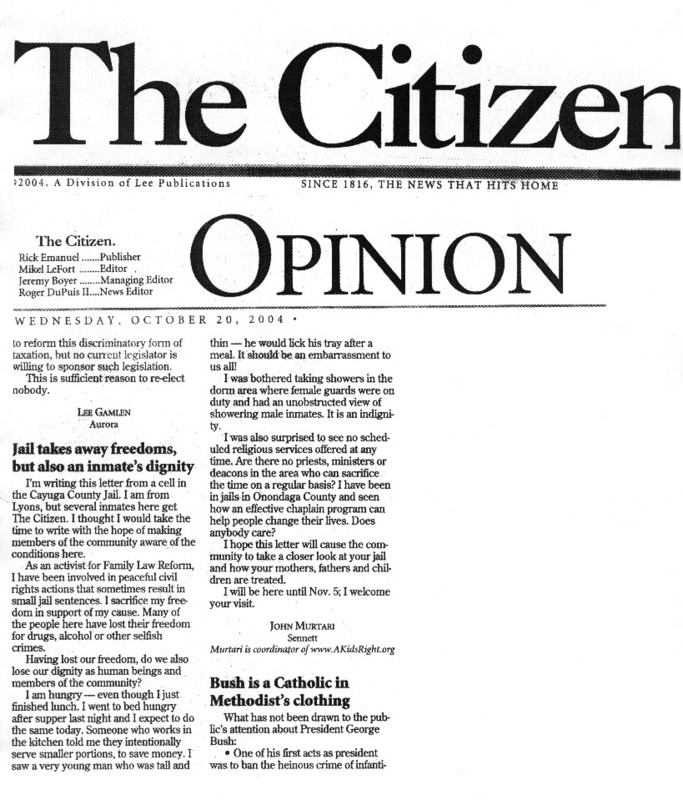 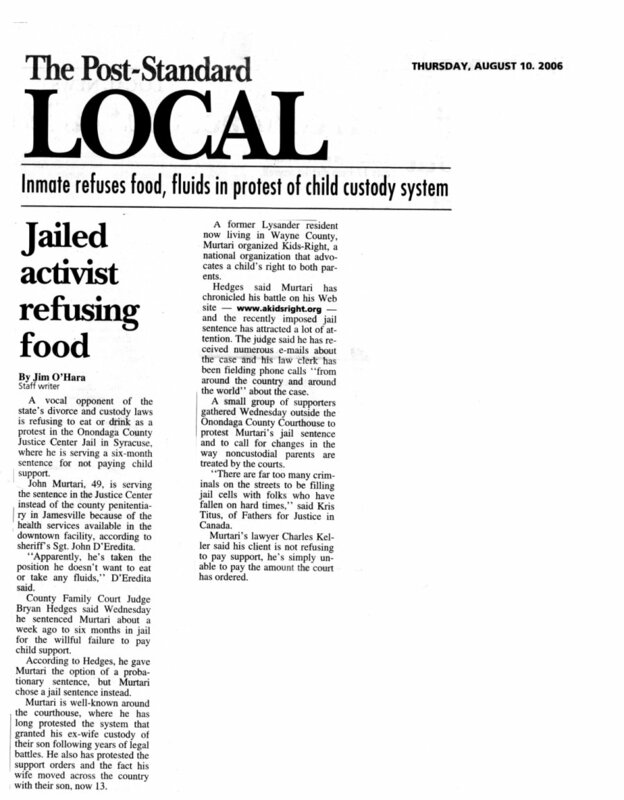 Aug 10, 2006 - Non Cooperation with an unjust jail sentence.